Have you seen the cool new GY pedalways map? 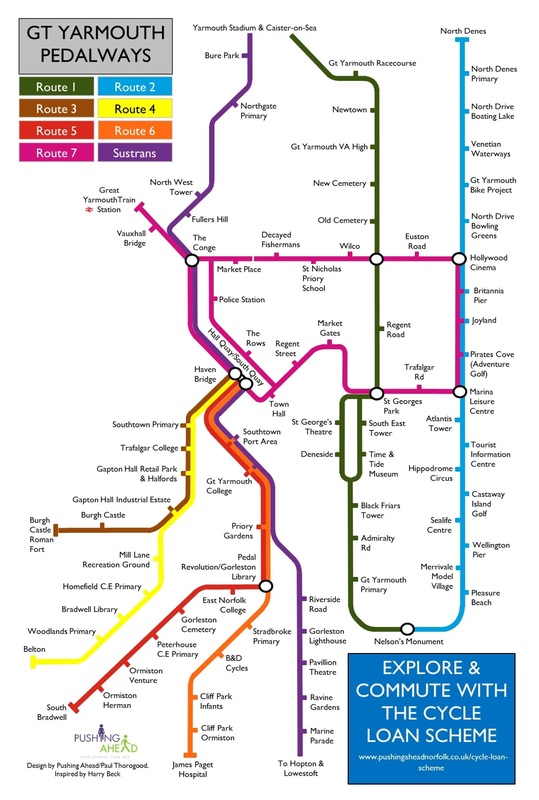 Great Yarmouth might not have The Tube, but the Pedalways map takes the best of the TfL tube-style map to make it easy for you to create your own route using the Borough’s cycle paths and pedalways. Inspired by the iconic designs from Harry Beck, the new Pedalways map shows you at a glance all the key locations that you can access using the seven different pedalways, plus the Sustrans route. Want to get from North Denes to Market Gates on your bike? No problem. Need to get from the train station to the James Paget? Piece of cake!